I first met Hugh at a conference in Mexico in 2010, where we spent time visiting a number of megalithic sites built by the ancient Mayan people, and those who came before them. After getting to know him, I gained huge respect for the enthusiasm he brings to his research into the mysteries of old, and his desire and ability to uncover the secrets of the past and bring them into open for us all to understand. Hugh Newman is an author and researcher in to Earth Mysteries and Esoteric Science. His book, Earth Grids, details an energetic grid around the planet which the ancient people were aware of, and upon which they were precise in constructing the megalithic sites, creating a network of interconnected power spots around the planet. 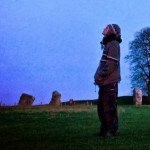 His research into Earth Grids brings up fascinating ideas about the potential for a lost system of knowledge that we can still see echoes of in the placement of the ancient megalithic sites around the globe, and so below are a few questions and answers to share some of those ideas with DianaGarland.com readers. Could you explain to those who are unfamiliar the basic premise of what Earth Grids are? What this ‘grid’ is, whether extremely long ley lines, flight paths of UFO’s, or the remnants of a great survey from prehistory has not yet been deciphered, only speculated upon. The Earth grid appears to be an electromagnetic and geometric structure that acts like a skeleton, or scaffolding for the planet. Whether created by an overactive imagination, ancient alien astronauts or a lost ‘energy’ technology, the idea of a grid around the planet has captured the imagination of those that obsess over the ancient sites and travel the world on a mission to experience them. Energy upwellings, volcanoes and fault lines often match the recorded outline of the proposed grids, and UFO’s have been shown to only follow the lines of certain grid geometries (as proposed by Bruce Cathie). The mystery of the grid deepens as you look further into it’s meaning, it’s possible uses and its place in ancient historical context. Megaliths, pyramids, dolmens and ancient mounds are found on these grids, but it has become clear that natural features such as waterfalls, mountains and volcanoes also link up into subtle global geometries. How do we detect Earth Grids? Is it possible to prove their existence? The Creator Tiowa assigned Spider Grandmother Woman (Kokyanwuhti) as the Earth’s guardian. She spat into two handfuls of Earth and created Poqanghoya and Palongwhoya, (and later, Hicanavaiya,Man-Eagle, Plumed Serpent and many others). The two brothers linked minds. Poqanghoya was sent to the north pole, where he gave structure and form to life. Palongwhoya went to the south pole, to say prayers and tune in to the heartbeat of Tiowa. When the two beats were in perfect harmony, a surge of life force came shooting down to the crystal at the centre of the Earth. When the sound hit the crystal,the energy shot out in all directions, channeled by the structural magic of Poqanghoya. The reflected life-energy then popped from the Earth’s crust, bringing the planet to life. 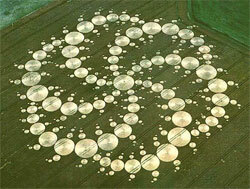 At some places this energy is said to be more abundant. Research by John Burke of the BLT Research Team has proven what geomancers and dowsers have said all along; that earth energies, underground water,and magnetic currents were manipulated by the megalith builders as alow-tech green technology. Thousands of myths and legends from across the ancient world revere gods of fertility and health to bring a successful harvest to the land, as well as promoting a healthy pregnancy in humans. 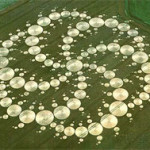 Archaeologists thought these were just fanciful stories to entertain the generations, but discoveries made from analyzing crop circles has revealed that these legends are based on new sciences and are related to the subtle earth energies thatsurround us every day. Electric charge builds up within these pyramids, megaliths and other sacred sites due to the geology of the area and the type of rocks used in construction. This often creates‘orbs’, that are often photographed at these sites. It also gives reasons why tribes would travel for hundreds of miles to make offerings of seeds and grains in these sites – not as a ritual, but as a long-forgotten technology, that when these seeds are then planted, have been found to increase yield by 300% and be stronger than control samples. What do they mean for us in a practical kind of way? Can we do something with them? Ancient cultures from across the globe have legends of fertility and healing, but they also have remarkably similar megalithic monuments aligned over great distances. New theories on the early development of farming, say that it boomed simultaneously on different continents around 10,000 BC and legends of great teachers, who taught the art of agriculture, healing and megalithic construction stretch through these cultures. Who were these people and why did they feel the need to spread this fertility knowledge to all corners of the world? Was it after a cataclysm, or were there global food shortages or even a drop in human fertility that stimulated global movement? Stone-age techniques are now being used for organic food production, but with the looming peek-oil crisis, GM crops, and global warming on the horizon, people are looking for a low-tech ‘green’ solution for growing their own food, guaranteeing fertility and being in touch with Gaia. The ancients designed these sites with future generations in mind, whereas we can barely see into the next day with the way we are polluting the planet. Perhaps the ancient’s left us with essential eco-survival clues for a post-modern world. 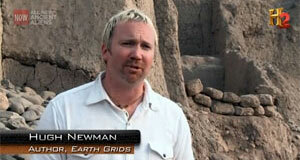 Do you think that certain Ancient Civilizations knew about Earth Grids and worked with them? If so, what did they do? We do know that the pyramids and megalith builders were master astronomers, architects and shamans, and applied Geodesy -“Division of the Earth’ and Geomancy -“Earth divination” to their scientific explorations. They used these tools to ‘Enchant the Landscape’ on a global scale, and may have had multiple reasons to mark parts of the earth with ‘sacred sites’. This could also be viewed as a ‘grid’. You run popular tours taking people to ancient megalithic sites. What drew you into relationship with the Megalithic sites, and why do you think they are important? It’s essential to connect with the sites because they are the only way to connect to our ancestors. These sites were built to last for multiple generations. People feel disconnected, thats why they join a religion, or spiritual group. The same earth energies are still running through these sites as they were when they were built and it is healthy to reconnect not only to our ancestors, but the the Earth itself. These sites do that for us and allow us to be in a designated ‘sacred space’ that has been used for this purpose for generations. Why do you think the ancients were making megaliths? And why did we stop doing it as a species? There are multiple reasons they were built, but I think there was a global cataclysm, and they wanted to re-enchant he landscape, bring it back to high-fertility, and bring groups together to work on community projects, as well as re-survey the planet and map it. They stopped because they settled in to communities, learnt how to farm using fertilizers, and moved in to a more sedentary lifestyle. Do you see any people today making structures with the same ethos that was used to create the megaliths of old? And have they been successful in creating new places of power? John Martineau, Shaun Kirwan, Rob Roy and Ivan MacBeth all make contemporary stone circles, using astronomy, geomancy, geodesy and metrology. It can be done, but the ancients, I believe ‘needed’ to do it, whereas today we do it for fun and experimentation. What are your favourite megalithic sites and why? Is there anything the Ancients did that we can’t do today? Move 1000 ton blocks, transport them, finely carve them and somehow build them to last! Do you think the sites from ancient history display evidence of lost technology? And if so, how might we get it back? Today, we have super-high technology, but it appears the ancients did to. Just look at the fine stonework of ancient Egypt, Peru and Turkey. The results of high-technology are still there for us to see, but how they actually did it, is still a mystery. We can do this today using ‘technology’, but for it to be carried out 5000 years ago is quite a feat. Hugh Newman is an author, conference organiser, speaker, world explorer, tour host, and co-founded Pentos Television. As an author he has researched the Indigo child phenomenon and published a book on the subject. He founded Megalithomania conferences and tours and hosts all their events worldwide. His most recent book, Earth Grids has been published by Wooden Books. He has released numerous DVDs of his multi-media presentations (see here for details).